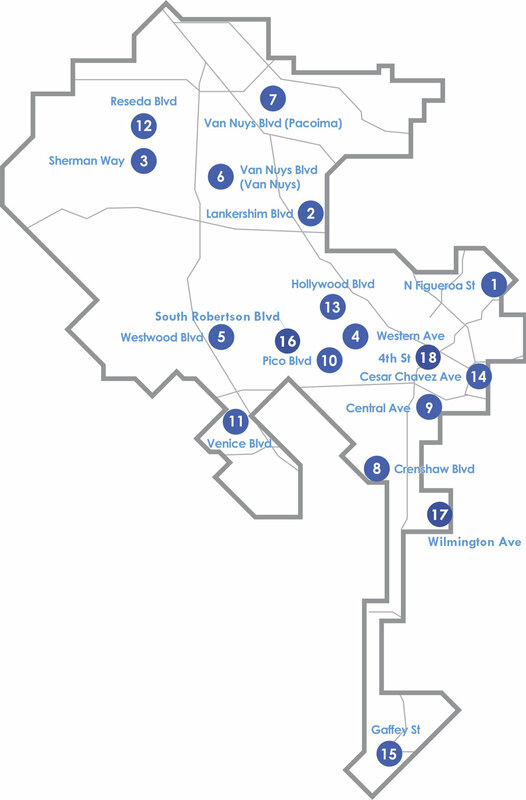 There are 18 Great Streets in the City of Los Angeles. We have changed our streets with temporary treatments including plazas and parklets and with permanent changes to curbs, street lighting, street trees, and street furniture. Use the navigation pane to the right to find out more about each of our streets. Find your local Great Street below! If you aren't located near a Great Street, but would like to find more resources for your local street, the 2018 Great Streets Challenge will open in December! You can also stay tuned for our Do It Yourself Great Streets Toolkit.